The M-1948 fishtail parka was produced by the U.S. Military to combat the severe wintry weather conditions during the Korean War. The M48 parka was the first parka to be produced which featured the iconic fishtail design. This allowed a wearer to fasten the parka coat around each leg thus further preventing the cold from reaching the core body. The design was revolutionary at the time and helped save the lives of many soldiers fighting in such extreme cold weather conditions. The M-1948 fishtail parka itself consisted of two parts. Outer shell with hood trimmed with wolverine fur and the pile liner which also had a permanently attached pile hood. The successor to the M48 parka, the M-1951 fishtail parka, consists of three components as the liner does not contain a fixed hood. Instead, a separate winter hood for the M51 parka was produced that buttons into the fixed plain hood on the outer shell. Such was the cost of producing an M-1948 fishtail parka they were only in production for around one year. Upon inspecting an M48 parka it is clear to see why. The quality stands out compared to modern day equivalent parka coats. 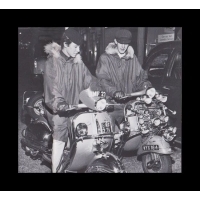 Even back in the late fifties, the M-1948 fishtail parka was very rare and sought after by the coolest mods. The M-1951 fishtail parka was more common and much easier to come across. 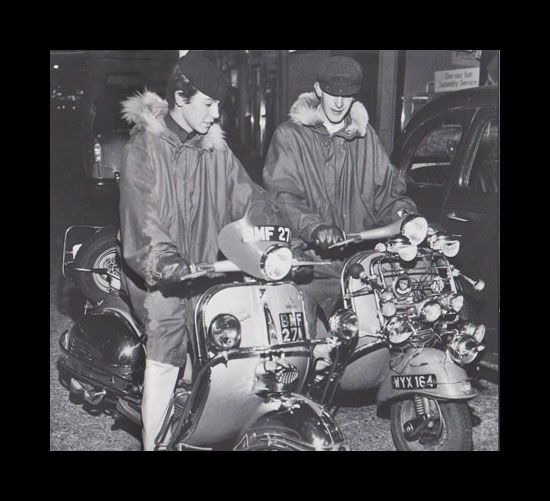 Due to their warmth and quality, British mod culture adopted the M48 parka to protect their expensive Italian tailored suits whilst riding around on their Italian scooters. The length of the fishtail parka ensured that full body protection was offered when the mod was sat in a seated position. As the M-1948 fishtail parka’s were made to be worn over full military kit even a size small has a 58 /60 inch chest. American parka’s are known for their generous sizing. We often get requests for a small original M48 parka from customers who are not aware of their big sizing. You have to be a fairly hefty bloke to stand any chance of wearing an original M-1948 fishtail parka. With this in mind, Fishtail Parka’s made the decision to reproduce the iconic mod parka so that it is available in wearable sizes. The heavy wind resistant cotton sateen material had to be specially reproduced and then Teflon coated for modern protection. The buttons were reproduced and the zippers sourced directly from Talon so that they were true to the originals. Although extremely warm, the original pile liners are not really suited to British weather conditions. 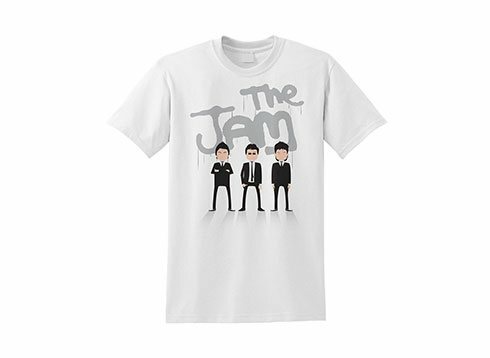 Many original mods discarded the original liners because they were just too warm and puff the appearance of the parka out too much when wearing. Mod after all is all about style and appearance. Therefore, the Stonetail M-1948 fishtail parka produced by fishtail parka’s is based on a rare original M48 silk liner produced in Japan after the war. Each M48 quilted liner contains around 7 meters of Mulberry silk. Natural silk is an incredible insulator so the aim of a nice light liner to wear whilst also providing the necessary warmth was achieved. You can view the Stonetail M-1948 fishtail parka here.